A home’s exterior is your chance to make a great first impression and add to the pleasantness of your street or property. But a striking façade can be compromised by a variety of flaws that can turn your home from fab to drab. 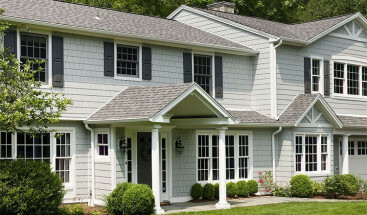 Summer is the perfect time to address these possible flaws and tend to your siding so that you, your guests, and your neighbors can enjoy your home throughout the year. If you’re in the market for replacement siding, Refined Exteriors should be your top choice; our extensive experience in transforming homes will help you achieve all your residential dreams. If you’re not yet sure whether your siding needs to be upgraded yet, keep on reading to find out what to look for. Stucco was originally intended for balmy, dry climates like those of California or the Mediterranean. Still, the style became popular in various regions across the country over the years. Chances are, if you live in any other climate zone, your stucco could be prone to mold. Sure, Denver isn’t the wettest of places, but we do have our fair share of thunderstorms, snow, and humidity over the course of the year. If you have stucco or another façade, which is showing signs of mold and mildew, it’s best to trade up for a new exterior. Wood siding is beautiful and high quality. But it’s also the most likely to be harmed by termites. If you notice swollen floors or walls, holes, or discover a termite infestation another way, you’ll want to fix up your façade and take precautions in the future. Avoid further infestations by avoiding stacking firewood up against your siding, using less mulch in your garden, and taking steps to reduce moisture near the home’s exterior. A 2017 report by Remodeling Magazine discovered that removing a band of existing vinyl siding and replacing it with manufactured stone veneer was one of the best home improvement projects when it came to return on investment. 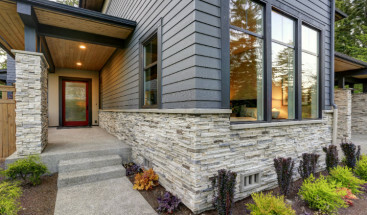 Adding stone accents to your exterior gives your home an updated, luxurious, and more expensive look without breaking the bank. Of course, you’ll want to perform an energy audit to determine the major causes of your skyrocketing bills, but there’s a good chance the quality of your siding plays a role. If this is an underlying factor, replace any splintered boards with newer, hardier models. If you’ve found yourself needing to make repairs or fixes to your siding every few months or years, this could mean the current material is not up to the task. 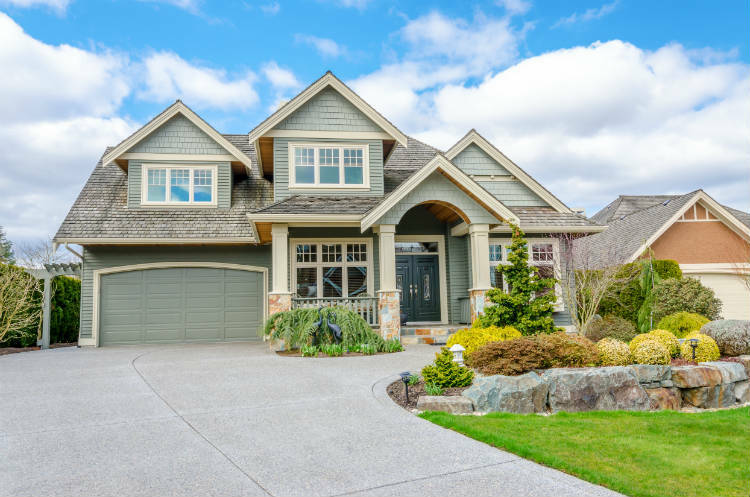 It’s not normal for a high-quality exterior to require constant upkeep, so if yours does, consider upgrading to a durable option such as fiber cement, vinyl, or engineered wood. Refined Exteriors can help advise you on the best options for your personal situation. Another concern for those with wood siding is dry rot. This stubborn fungus develops in wood siding that retains moisture and is hard to get rid of once it’s in place. If you have dry rot, make sure you address it before it spreads (which it does). 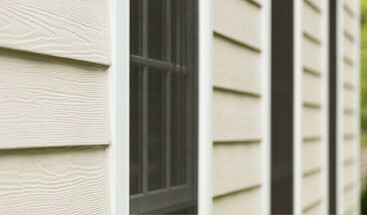 Consider changing the material of your siding so you don’t have to be as on-your-toes about preventing moisture. If the moisture build-up has spread to the inside of your home, you know it’s a serious issue. Evidence of a weak exterior can show up in the forms of peeling paint or wallpaper, or bubbles in the walls. Squirrels are known to eat through house siding with the intent to build nests inside. Woodpeckers, mice, and other rodents can also be guilty of similar efforts. If you fail to notice this damage immediately, you may need to fully replace your siding to bring it back to its original quality. If you notice that all the houses in your area that sell for a good price are varnished in the latest and most stylish hues, it might be time to follow suit. Even if you’re not planning to sell, a fresh coat of paint or new clapboard could be the key to modernizing and beautifying your home, just like you deserve. If you plan to put your house on the market or want to have it appraised for its maximum potential value, new siding can work wonders. It can make an established house look sparkling new and it creates a positive first impression on prospective buyers. Curb appeal is about much more than just flowerbeds and pruned trees – a stunning, clean façade is an essential part of marketing your home.